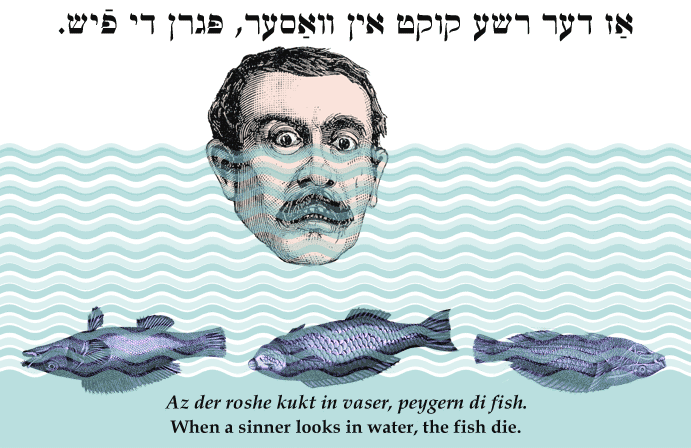 Yiddish Wit: When a sinner looks in water, the fish die. אַז דער רשע קוקט אין וואַסער, פּגרן די פֿיש. Az der roshe kukt in vaser, peygern di fish. When a sinner looks in water, the fish die.